In the past, banks created successful bonds and debt securities on the insurance market based on insurance-related events, which can be counted towards the success of the financial securitization of its assets related to securitization technologies. 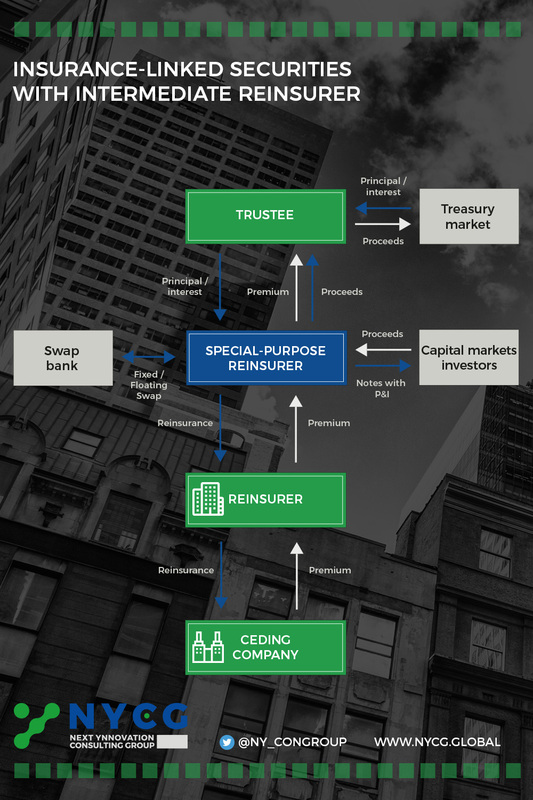 The issue of securities related to insurance risks to transfer commitment and to provide additional risk capacity is still the concept behind insurance-linked securities, and is of the same kind as other forms of securitization. These securities thus allow direct investment in the insurance company. This is in contrast to investments in debentures or equity securities issued by (re)insurers. The component of insurance risk of such investments involve life-long property damage disasters due to, landslides, earthquakes, etc. In such cases, all limited correlation is similar to that of the traditional types of investment performance. The securitization of insurance risks has also been developed as an important tool for capital and risk management. The price difference between reinsurance and capital market issues has an impact on the overall activity, because the insurance-linked securities are a substitute for insurance. The issue of ILS can thus accelerate if a hard market is created. Although it certainly seems possible to securitize other risks, the majority of ILS areas include either investment in life insurance or catastrophe bonds (CAT bonds). 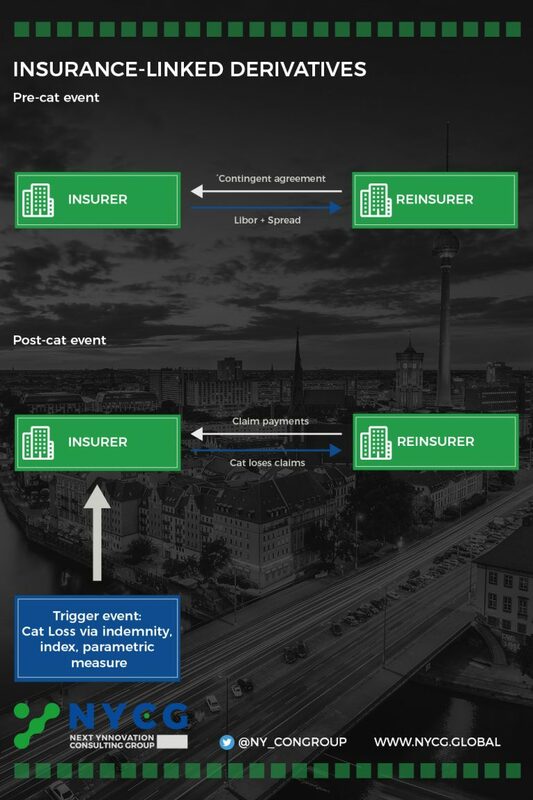 Insurance companies transfer disaster risks to the capital market by means of CAT bonds. Bondholders usually lose bond principal and loan rates to the insurer if the specific disaster risk is triggered. The premium payment of traditional life insurance policies is usually secured by life insurance bonds. Insurance Linked Security (ILS) solutions are an interesting ART tool for large enterprises and organizations, and they are by no means used only to increase the underwriting capacity of insurers. An example: The FM Global insurance company put 300 million USD into the Pacific Northwest Earthquake Cat Bond in order to increase its underwriting capacity in the earthquake-prone region of California. FIFA used the ILS solution as an association when the World Cup in Germany in 2006 was covered by insurance linked securities. The lack of a new world champion by September 2006 was set as trigger damage. A special purpose vehicle (SPV), called the Golden Goal, which was based in the Channel Islands, received quarterly financial payments from FIFA for this. The absence of credit risk is the most obvious advantage for the insured: Before the damage occurs, the capital has already been invested in safe securities. The high initial expenditure and the associated costs are among the disadvantages of an ILS solution, which is why they are still generally only used by large enterprises and (re)insurance companies. In order to increase its underwriting capacity, even more companies use ILS with a captive insurance. Insurance-linked derivatives are derivatives, which are linked insurance risks. They derive their value from a reference market and are broadly defined as financial contracts. It seems only natural that derivatives have been adapted for use in the ART market, because they allow users to transfer the cost-effectiveness of specific risk positions, including variables for the possible cause of corporate losses. Developed insurance derivatives have been available since 1992. At the US derivatives exchange, CBOT (Chicago Board of Trade) the first options and futures were traded on natural disasters. In 1996, at the CATEX (New York Catastrophe Risk Exchange), and in the following year at the BCOE (Bermuda Commodities Exchange), trading in derivatives began. The principles of derivatives are based on important terminology. A physical event, such as a temperature development, or a monetary scope, such as a total loss, could be the basis for this. Indices of this kind are published daily on the CBOT, or recalculated daily according to the insured losses. Today’s derivatives are related to other risks, such as the weather, because it affects the annual turnover of many companies, such as energy companies, theme parks, and food and beverage manufacturers. Gas sold for the heating of homes and offices during the winter season, represents the majority of sales of Iowa Gas. Reduced revenues caused by a mild winter present a risk against which the company wishes to hedge. With a sales result of 5,000 HDDs, Iowa Gas buys a minimum of one heating degree day (HDD) as a put option. It finances this (with a sales result of 5,650 HDDs) by selling a maximum (call option). The risk of very low revenues for the gas company is limited by the put option, while at the same time the potential for an increase in a very cold winter is limited by the limit on the call option. Results of 5,300 HDD in the corporate sector provide the normal winter temperature (direct transaction). The gas company can conclude a contract with El Paso Electric that includes a payment by the gas company of 6,000 dollars for every HDD above the call option. No money is transferred when the HDDs move within the range, the fixed ceiling of which is 2 million dollars. The sum of 4,800 HDD was under the fixed lower limit of 5,000 HDD in the very mild winter of 1998-99 by 200 HDD. Iowa Gas received 1.2 million dollars from the transaction. The unpredictability of revenue could thus be reduced.